Patient results provided by courtesy of Dr. Robert Jones, Toronto, Canada. 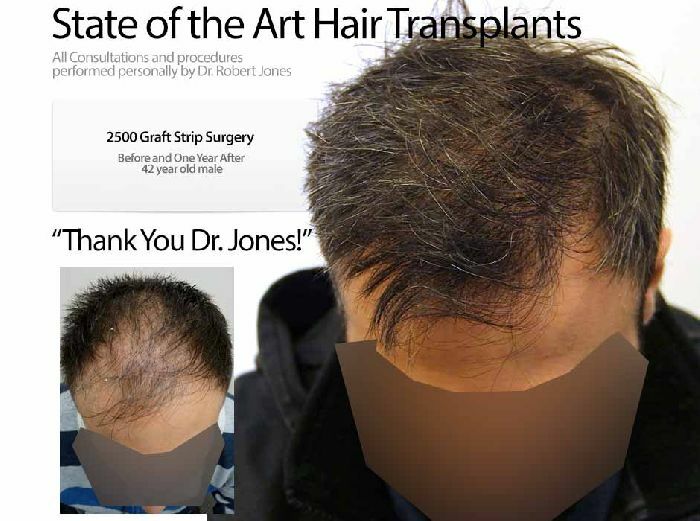 According to Dr. Jones, this is an example of relatively few grafts achieving great coverage across the top of the head. Dr. Jones is a sponsoring physician of HairSite, he and his team offer some of the latest technologies in hair restoration, including eyebrow/eyelash transplant, FUE, BHT, repair and more. As of today, Dr. Jones has published more patient results in our forum than any other doctors in the territory of Toronto ON. For a free no obligation consultation, email info@drrobertjones.com, please include your age and the degree of your hair loss. You may also attach photos. To contact Dr. Jones by phone, please call 1-877-789-4247 (US and Canada).